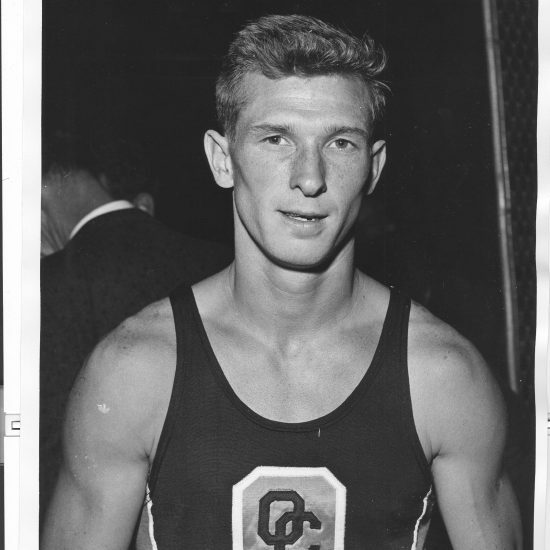 Gutowski owned several California state high school pole vault records when he came to Occidental College, where he set a world mark of 15 feet, 8-1/4 inches in 1957. At the 1956 Melbourne Olympics, he won a Silver Medal with a vault of 14 feet, 1/2 inch, 11 inches below Gold medalist Bob Richards. 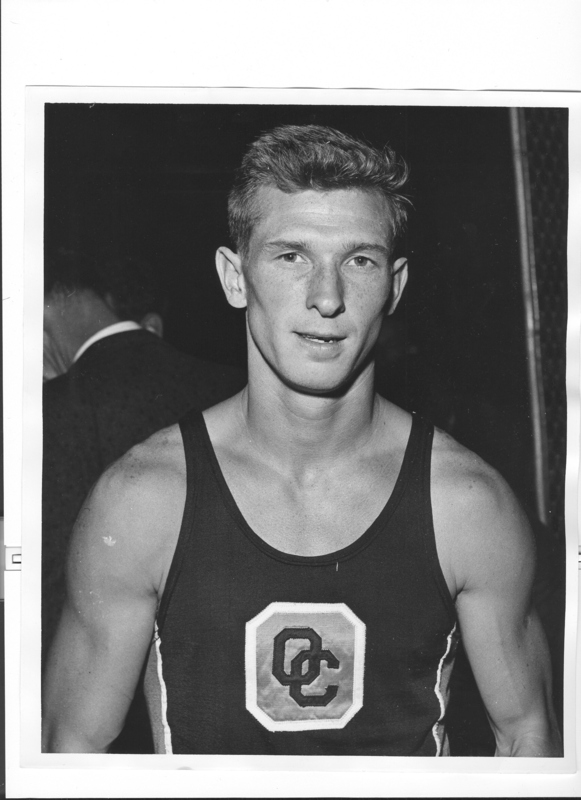 In addition to being one of the fine aluminum pole vaulters, Gutowski also was an outstanding long jumper and sprinter. He was killed in an auto accident Aug. 2, 1960. Robert (Bob) Gutowski was born on April 25, 1935, at San Pedro, California. He attended LaJolla High School and set many California high school records during pole vault competitions with his “feet off the ground” the majority of the times. Gutowski orbited to world fame after enrolling in Occidental College. Beginning with a world record leap of 15 feet, 8-1/4 inches in 1957, Gutowski jumped 15 feet, 9-3/4 inches the same year but it was disallowed as a world mark on technicalities. Gutowski failed to make the 1956 U.S. Olympic team in tryouts. However, he was added to the squad when Jim Graham was injured. At the games in Melbourne, Australia, Gutowski earned the Silver Medal as he sailed over the 14-foot, 1/2 inch bar. Fellow American Bob Richards won the Gold giving the United States first and second place honors in the event. In addition to being one of track and field’s finest aluminum vaulters, Gutowski was also a long-jumper with a career best 20′ 9″ jump. In addition, he was a sub 10-second sprinter. Gutowski was killed in an auto accident on August 2, 1960.